The Oracle Corporation offers a comprehensive, fully integrated stack of cloud applications, platform services, and engineered systems in over 145 countries around the world. But in the realm of philanthropy, it’s also highly involved in K-12 computer science education. Oracle recently announced that it will invest $200 million in computer science education across the U.S. in the next year and a half. This is part of President Obama’s Computer Science for All initiative to equip today’s youth with the computer science skills they to thrive in our digital economy. According to the White House, more than 600,000 high-paying tech jobs across the United States were unfilled last year, and 51 percent of all STEM jobs are projected to be in computer science-related fields by 2018. 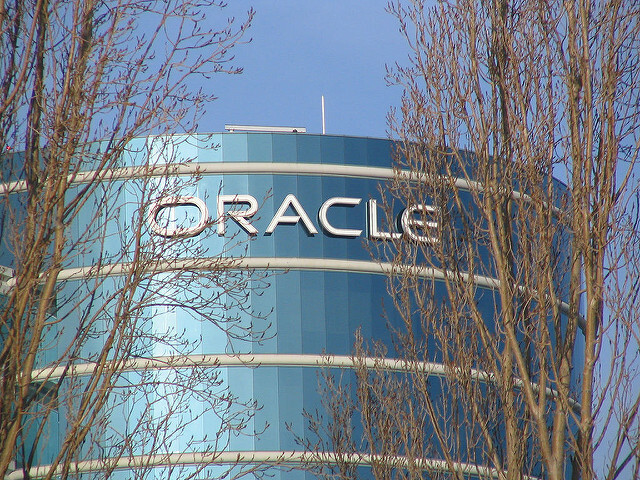 Oracle’s grant money is expected to reach over 232,000 students in 1,100 educational institutions across the country. This is all happening through the Oracle Academy, which has already served over 2.6 million students in 106 countries. Features of the academy include access to free Oracle software, reaching out to underrepresented populations, launching innovative courses in CS fields, connecting innovators with students and teachers, and supporting policy efforts to count CS credit as academic credit. It will also fund training for more teachers in computer science for the 2016-2017 academic year. Our latest research findings confirm that access to computer science education in the United States is both an economic and social equality issue. Moreover, these findings help quantify and contextualize the need to expand CS to all students regardless of race, gender, or socioeconomic status. We've been working to advance computer science education globally for more than two decades, and today's commitment takes Oracle Academy to a new apex in our journey. It’s an honor to be part of this collaborative mission, led by the White House. The potential power of Computer Science for All to change the lives of our children and the future of our nation is awe-inspiring. Oracle is based in Redwood Shores, California, but Oracle Academy training events take place virtually throughout the year and at physical locations coming up soon in Santa Clara, California, Greensboro, North Carolina, and Austin, Texas. In addition to Oracle’s K-12 support, the corporate funder also supports computer science in higher education through community colleges and four-year universities. This new $200 million commitment is funding CS support for both K-12 and higher ed in the U.S., and it is part of the company’s annual worldwide investment of $3.3 billion to empower CS educators and engage diverse student populations globally. The Oracle Education Foundation is a great resource for computer science education organizations. This foundation is funded by Oracle and encourages employee volunteers to lead high school students in multi-day projects in STEM topics. For example, the foundation partners with Design Tech High School to engage students in two-week projects four times a year. Other funded projects have included designing wearable tech, building inexpensive hardware solutions, creating wireless solutions, and using big data to have a sustainable impact on the environment. This foundation has been around since 2000, starting with hardware grants to U.S. schools that lacked technology, and has since expanded. Although the Oracle Education Foundation only considers grant proposals and letters of inquiry by invitation only, you can reach out to the Redwood Shores-based staff and board with questions at foundation_ww@oracle.com.